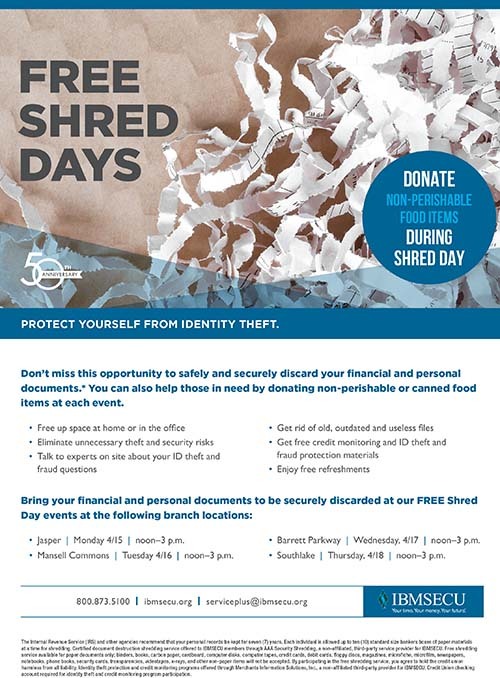 Description:  FREE Shred Day at IBM Southeast Employees' Credit Union in Jasper! Don't miss the opportunity to safely and securely discard your financial and personal documents. 參 DONATE non-perishable FOOD items during SHRED DAY!